We can introduce an inner product: between a cycle Ω and a cocycle ω: < Ω , ω > as the integral of ω over the domain Ω. · Curl of a divergence is zero. Finally we arrive at De Rham Theorem. This means that we can explore the topological properties of the space by looking at the solutions of differential equation on that space. For example, an electric charge generates an electric field around it. 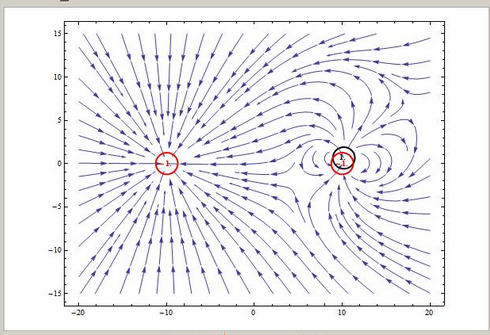 The spatial distribution of the electric field can tell us the location of the charge. That is why the second cohomology group H2 DR can be interpreted as an electric charge! In general cohomological classes have a physical interpretation. Next time we will venture into the related wonderful world of Hodge theory. Now we can marry the two lines of argument and arrive at one of the most beautiful and useful advanced mathematical area, de Rham cohomology. I cannot cover this in only one post, and there will be some back to physics posts (one or more guest posts) to prevent the math topics to become too dry. The end goal of the math series is to be able to talk about Yang-Mills theory and the Standard Model, so there is light (physics) at the end of the tunnel. What 0-forms might be? They are simply the usual functions. Let’s call them f.
The gradient, curl, and divergence are the bread and butter of Maxwell’s equations in college. Now the key idea is the d d = 0 and we are getting somewhere interesting. We will be able to study topology by investigating partial differentials equations. Mathematically this is very surprising because it reveals a bridge between two very different domains. In topology you deal with accumulation points, closed and open sets, while in differential equations you encounter say Schrodinger equation. What can Schrodinger equation tell you about open sets? Physically on the other hand it is not surprising at all!!! You know that a violin sounds like a violin, and a drum like a drum. This is because the solution to the wave equation in a cavity depends on the shape of the cavity. By the way, this is why I like physics: it provides an easy context for intractable mathematical abstractions. v for which curl (v) = 0 BUT v is not grad (A) for some A.
is the same as the homotopy class! where α is a p-form and β is a (p-1)-form. Continuing the discussion, we now consider a new way of looking at geometrical spaces. This was started by the sailors who needed maps to guide on their perilous journeys. What people discovered is that they cannot draw a map which was free of distortions: either the distance ratios or the angles (and sometimes both) were not preserved. This is because the Earth is spherical (hence curved) and the map is a flat two dimensional surface. 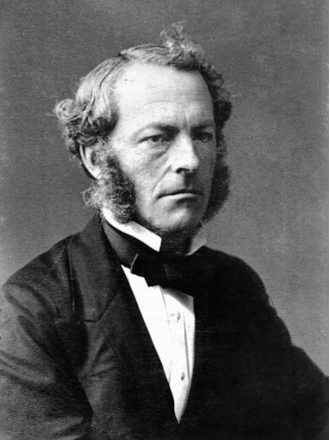 From this mathematicians abstracted the idea of a manifold. A manifold is a geometric shape for which we can locally draw a map. Several maps may be needed to completely cover the space (in the Earth’s case one needs a minimum of two maps), and the collection of maps is naturally called an atlas. An atlas must obey a natural requirement: whenever two maps describe a common area, they have to be compatible. Now at any point in the manifold we can attach a tangent space. How do we represent vectors in this plane? Here is the first subtle point. The tangent vectors should not be represented by arrows in a plane as in the misleading picture above because this is an embedded picture of the space in a higher dimensional space. As such it can depend on the embedding. What we seek is an intrinsic definition which makes no reference to any embedding. The basis for the tangent plane is given by a linear independent set of partial derivatives along curves passing though the point where the tangent place in defined. Tangent vectors are partial derivatives along some direction!!! Next consider a map φ between two manifolds. If point x in M is mapped to point y in N, the map of the two tangent planes at x and y is the differential df. Why? Because a tangent vector is a sum of partial differentials multiplied with some weights, and the differential is the Jacobian which performs a change of coordinates in multi-variable calculus. When you first learn differential topology it is customary to write all this in components and build an intuition by repetitive elementary problem solving. However, if you do not pursue the subject further enough you risk of not seeing the forest because of the horrible complicated trees. What we are after is an intuition in coordinate free language. In differential geometry this means we need to understand the key ideas of pushworward and pullback. The pushforward is easy to understand. Think of it as a motion picture: a movie on TV is a map between the manifold of where the movie is recorded to the manifold of your screen. Movement on the director’s set is transferred to movement on your screen. In other words, tangent vectors from the domain manifold define tangent vectors in the range manifold. The pullback is a bit harder to grasp in an intuitive way. A pullback returns differentials from N to M. Differentials come in many forms. One particular important case is when the manifold N is simply the real number line. In this case the differential is called a 1-form. Think of it as a machine which eats a vector and spits out a number. The book Gravitation by Misner, Thorne, and Wheeler has this explained the best. If a vector is pictorially represented as an arrow, a 1-form is represented as an infinite set of parallel planes. 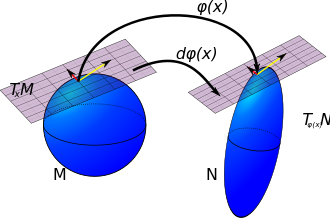 The distance between the parallel planes is inverse proportional with the 1-form magnitude, while the direction perpendicular with the planes gives the 1-form a direction. A scalar product between a vector and a 1-form corresponds to how many parallel planes the vector pierces. Misner, Thorn, and Wheeler call this “how many bongs of the bell”. Of course if the vector is parallel with the planes (orthogonal with the 1-form) there are no bongs and the scalar product is zero. Now back to pullbacks. Imagine at each point on N a 1-form (a set of parallel planes). Can we construct a 1-form on M? Here is how you do it: take a vector from M, push it forward to N, pierce the 1-form and get the number of piercing. Construct on M a 1-form which when pierced by the original vector gives the same “number of bongs”. Another way to help visualize pullbacks is by Dirac’s electrons and holes idea. Have a hole in the destination manifold N. We pull back the hole from N to M if we push forward an electron from M to N to fill the hole in N and in the process we created a hole in M.
To summarize: tangent vectors are partial derivatives, a differential is a map between tangent planes, we pushforward vectors and we pullback differentials. Next time we’ll marry algebraic with differential topology and arrive at the wonderful theory of De Rham cohomology. We can now wrap the introductory discussion on algebraic topology and build all the key results needed before we will open a new front this time on differential topology. Some mathematical fireworks will follow when we will marry algebraic and differential topology in the beautiful theory of de Rham cohmology. We will continue the discussion from last time about holes and introduce three essential concepts: chains, cycles, and boundaries. Recall the idea of a simplex. Can we add or subtract two simplexes of order p? The answer is yes and this can be visualized as gluing the simplexes together to form a larger geometrical shape. Zp whose elements are p-chains with boundary equal with zero. Bp whose elements are p-chains which are the boundary of (p+1)-chains. The groups Zp and Bp may be infinite dimensional, but their quotient group Hp = Zp /Bp is in many cases finite dimensional and its group dimension is called the Betti number. Q: how many holes does a torus have? (1) shows that a hole corresponds to an element of Zp because one can walk in a closed loop around the hole and return to the starting point. From (2) we see that a hole cannot be an element of Bp because a hole is not a boundary of a filled region. Hence a hole corresponds to an element of Zp but not Bp meaning it belongs to the quotient group Hp (and the groups are named appropriately: C for chains, Z for zero, B for boundary, H for hole, or Homology). When the image of a map becomes the kernel of the next map such a construction is called an exact sequence. Because ∂∂ = 0 (the boundary of a boundary is zero) in homology we have an exact sequence and therefore Hp gives rise to the “Ker modulo Image” pattern. A similar pattern will be encountered in differential topology because a double differential is zero as well: dd=0. However in there the arrows will be pointing the other way and instead of homology we will have co-homology. The Betty numbers will be the same because the holes of a space do not change if we discuss chains or integration on the space. Roughly speaking cohomology corresponds to integration on a space, and homolog corresponds to the frontier of that integration.